Urbano Document Linker is a powerful add-in for Autodesk® Navisworks® that enables you to link multiple external files such as .pdf documents and .jpg pictures to your Autodesk Navisworks model. The add-in will work with a 3D model from all sources compatible with Navisworks e.g. Autodesk® AutoCAD®,Autodesk® Revit®,Autodesk® Civil 3D®, Urbano etc. Linking the same document with a large number of different elements. Linking a large number of documents of various file types with a large number of different elements. Linking a large number of documents of various file types with a large number of equal elements. Main window with all functions for linking files, licensing and help. 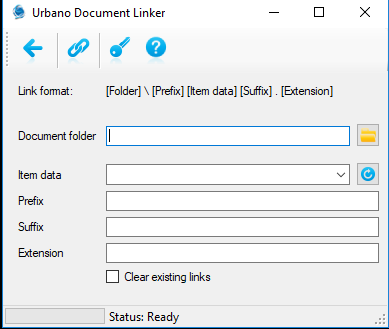 Urbano Document Linker is brought to you by StudioARS. It's free. This add-in is compatible with Navisworks Manage 2019, 2018, and 2017.